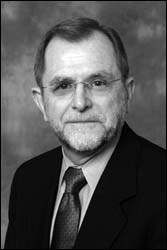 John M. Dunn became Southern Illinois University Carbondale's Interim Chancellor in November 2006. Prior to his appointment, Dr. Dunn had served as SIUC's provost and vice chancellor since 2002. Before coming to SIUC, Dr. Dunn held teaching, research, and administrative appointments at the University of Utah, Oregon State University and the University of Connecticut. Dr. Dunn's efforts to enhance the lives of individuals with disabilities, specifically their long-term health are internationally recognized. He has published more than 50 scholarly papers and chapters and contracts and established a clinic to serve children and youth with special needs. In recognition of his efforts, Dr. Dunn has received numerous awards for his scholarship, teaching, and leadership and has held offices in several professional organizations. Dr. Dunn left SIUC in July 2007 to become president of Western Michigan University in Kalamazoo.